Ticket is one of the biggest cost in travel, so getting a great deal on the airfare will help you to low the cost down. Finding a ticket is not easy but doesn’t mean we can’t. Apart from the huge promotion ticket from the airlines, being flexible in time and destination when travelling is another way to get a cheap ticket. Hope this tips listed below could help you. Airline ticket prices is cheaper on weekday compare when you travel on weekend and it is vary depending of the upcoming holidays and season. If you travelling to Indonesia or within Indonesia on Christmas, New Year and Idul Fitri, the price will be very expensive so choose low season. People used to asked, which city/country I am planning to go on my next trip? No plan! Mostly I travel to city/country based on the available promotion ticket. Once I bought a ticket to Balikpapan, without knowing what we should do there, but with only Rp. 150.000/way, you don’t need to question much right? You can have a wish list, but if none of cheap ticket on your list, pick somewhere else! Do not booking too early (unless the promotion ticket) because airlines often lower their fares base on demand and also do not booking too late, because generally price rise when the departure date approaches. But there is some peoples gambling in last minute and get a cheaper price, but I called it being lucky. The best is to book the flight 6-8 weeks in advance, about 3 months during the peak season. 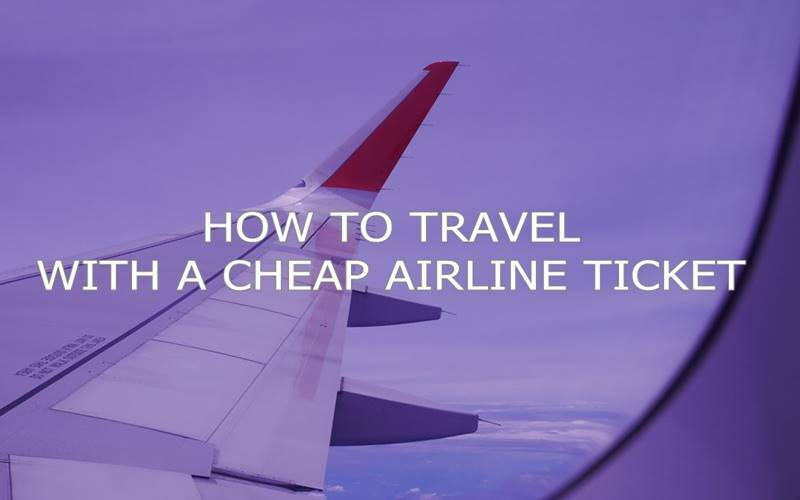 You will be surprise that every online booking site offer a different price for the exact flight, sometime I even found that it is slightly cheaper than the airline website itself. So before you decide to issue the ticket compare some search engine. Mostly I use Skyscanner, Traveloka and Airpaz. But this airline search engine has the in-advantage, not all budget airlines site listing on their site. From the result the search engine, then I compare to the airline website directly. I am a budget airlines fans, most of the time I use this budget airlines because the cost sometime 50% cheaper than the full service airlines. Some of the budget airlines I fly with are Air Asia, Jetstar, Tigerairways, Ryanair and EasyJet. Instead of fly directly to your destination, try to fly with low-cost flight to nearby city then continue to take a budget airlines to your destination. Even if you travel more than 1 person (less than 10), just search the price ticket for 1 person only, because usually the price is different due to the same class price maybe sold out. It is more cheaper you buy 2 ticket with different class separately. When you already know how much is the average of ticket price to some destination, it will more easy to decide whether the price they offer is cheap or expensive or just a normal. If the price Jakarta to Korea with Garuda normally IDR 7 million and the current price is IDR 4.5 million, what do you waiting for? But it is also depends of how much do you want to pay. If you think it is still expensive, because your budget is only about IDR 3 million, consider Airasia or fly from Kuala Lumpur. 10. Subscribe to many airline website! This sound troublesome to get many newsletter from the airline website, but you don't want to miss a big promotion right? Once I get ticket Jakarta - Manila - Jakarta only IDR 700.000 from Cebu Pacific. I don't subscribe to all the airline but the airline with the destination I might go with my limited budget and time. If you miss a promotion newsletter or you don;t subscribe to that airline website, there are always someone sharing those information, even sometime the exact date with the cheapest price.